If you are looking for a natural alternative for chemical hair dyes, then indigo powder is a great choice. 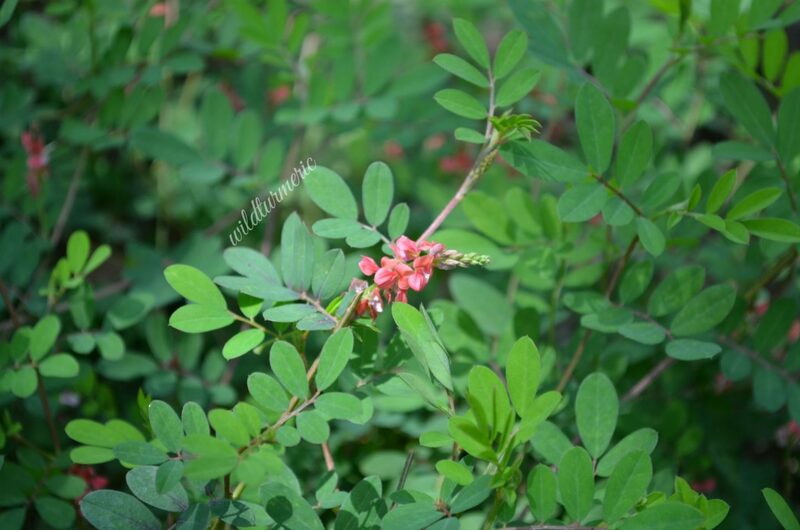 Indigo powder has amazing hair benefits and is got by powdering the leaves of indigo plant whose botanical name is Indigofera Tinctoria. The leaves produce dark blue dye and when applied as a hair dye after using henna, gives dark black colour. Indigo powder is called Indian Indigo in English, Avuri or Neeli in Tamil, Neeli Chettu in Telugu, Neela Amari | Neelayamari in Malayalam, Neelini | Neela in Hindi, Neeli in Kannada, Neel in Marathi, Wasma in Arabic and Neel in Urdu. Indigo powder is the powder got from indigo plant. 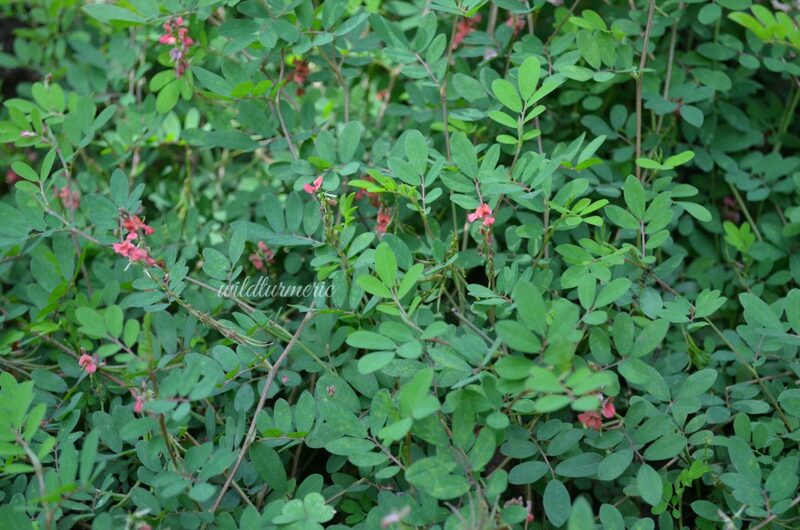 Indigo is a small shrub that grows about 1 to 2 meters high and produces beautiful pink flowers. Indigo plant has wonderful medicinal uses and all parts of the plant is used medicinally. You can identify indigo plant with it’s leaves and the flowers. Though indigo is known mainly as a natural dye, it has other amazing hair benefits too. Indigo is mainly used in the form of hair oil for stimulating hair growth and in the form of hair pack for dyeing the hair. For dyeing, it is applied after henna. Henna makes the hair reddish orange and indigo dyes the hair dark blue color and together they create a natural black color. If you want black color, make sure to use indigo after applying henna, this will ensure you get a dark color. If you want a dark reddish tinge color, you can mix both henna and indigo together and apply. Indigo leaf is an amazing home remedy for treating premature greying of the hair. Regular use of hair oil made with indigo leaves will reverse and prevent greying of the hair greatly. Indigo leaf hair oil made with the leaves is amazing for hair growth. It prevents scalp infections and stimulates new hair growth when used regularly. To stimulate hair growth, massage the oil gently in the scalp everyday regularly. The hair oil made with indigo leaves is also a very good remedy for dandruff. It reduces dandruff greatly and if used from young age, it will greatly prevent dandruff. One main hair benefit of indigo is that it acts as a natural hair dye. In my personal opinion, it is one of natures gift considering the side effects of chemical hair dyes which range from increased sensitivity to sun to skin allergies. Indigo leaf hair oil is one of the best conditioners that softens your hair really really well. If you are suffering from dry brittle hair, I would suggest using indigo leaf hair oil regularly. Within few days of regular use, you will find you hair smooth and soft. How Is Indigo Powder Hair Dye Made? The blue coloring matter is naturally present in indigo leaves in the form of glycoside (glucose and Indoxyl). Once the leaves are soaked in water and fermented, the sugar (glucose) is consumed by the bacteria releasing the Indoxyl. Indoxyl is the precursor to indigo dye and is called white indigo. When indoxyl oxidises, we get blue dye. To make the indigo powder hair dye, indigo plants are harvested and the leaves are collected separately. Then they are partially fermented to release the dye, sun dried till crisp to remove any moisture and then powdered. For making indigo oil, indigo leaves, amla and bhringraj are boiled together in a pan till the water evaporates and the sizzling sound stops. These 3 herbs also forms the base for the famous Neelibhrigraj Oil which is very popular for treating premature greying of the hair. Neelibhringraj oil also contains additional ingredients like buffalo milk, cow’s milk and coconut milk. But in my personal experience hair oil made with just the three herbs also is equally effective for stimulating hair growth and preventing premature greying of the hair. There are no side effects to using indigo powder for hair. But like with any ingredient some might experience indigo powder allergy but this is very rare. 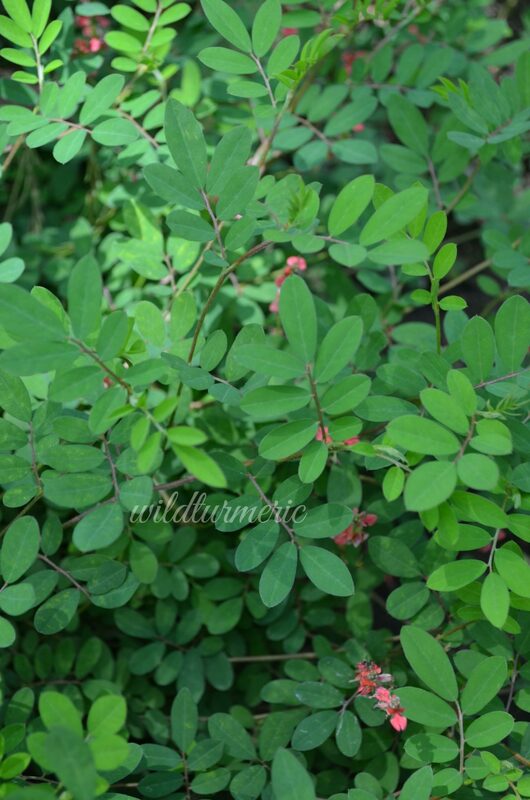 Some of the symptoms of indigo powder allergy are itchiness, headache and dizziness. If you experience any of these symptoms stop using indigo powder. The other side effect is it might be messy and time consuming to use indigo as a hair dye but it will get easier once you start using it regularly. Also we get lot of fake indigo powder in the markets. If we use fake indigo powder, we will experience lot of side effects including severe itching and headache. Where To Buy Indigo Powder For Hair? We get natural organic indigo powder in most herbal shops in India. 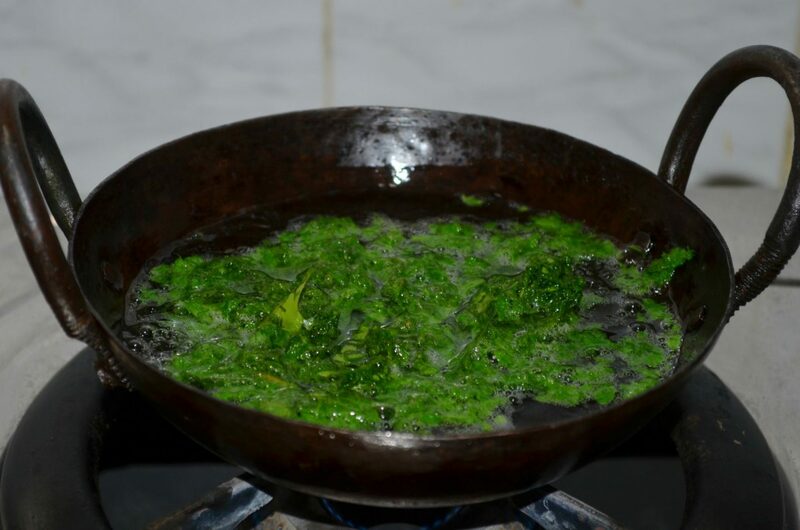 If you are living in Tamil Nadu, you get avuri leaf powder in nattu marundhu kadai. You can also buy good quality indigo powder online. Whenver you buy indigo powder, make sure to check it is original. To make sure it is original, take tiny bit of indigo powder in a bowl and mix it in water to get a paste. Wait for 15 minutes, the dark blue dye should bleed out else it is fake. Also while buying look out for the color, it should be green in color and should not smell of chemicals. Try not to buy cheap indigo powders and also be cautious of buying products like black henna which includes henna, indigo and harmful chemicals to get instant black color. How Long Should I Leave Indigo In My Hair? This depends on the process. If you are using indigo as a two step process like mentioned below, I would suggest leaving Indigo paste for 2 to 3 hours for best results. If you are combining both henna and indigo together and using it together (it is not as effective as two step process), it is recommended to leave it for long duration’s of time. Can I leave Indigo In My Hair Overnight? You don’t need to leave it on overnight, the dye fixes on the hair within 3 to 4 hours. Also applying wet paste like indigo on the hair and going to bed is not a great idea as it might cause headache and you will not be able to sleep better too. How To Rinse Indigo Out Of Hair? Indigo rinses of easily when compared to henna powder. Rinse it off with plain water for best results. Try not to use shampoo for the next 3 days. If you use shampoo immediately after applying indigo, it will wash out the dye very fast. Is Indigo Bad For Your Hair? Indigo is natural product got from indigo plant and true indigo hair dye will never harm your hair. It will only make it shiny and strong. It is also a good alternative for chemical hair dyes which causes lot of allergies. How Long Does Indigo Hair Dye Lasts? The time it lasts varies from person to person. For some it might last well for 8 to 12 weeks, for some it might wash off sooner. It greatly depends on how porous our hair is. How to Make Indigo Stick To Hair? Some people’s hair absorb the indigo dye poorly, if it is the case, mix tiny pinch of salt while mixing indigo powder with water, it will help fix the dye. Also apply indigo paste on clean dry hair only. It is best to oil the hair after 48 hours after indigo hair dye application. Also try not to oil your hair before applying indigo dye, it will prevent the dye sticking to the hair. 1. To make indigo hair oil, take a 1/4 cup of indigo leaves. Try to use fresh indigo leaves for best results. 2. Wash and take 1/4 cup of bhringraj leaves too. 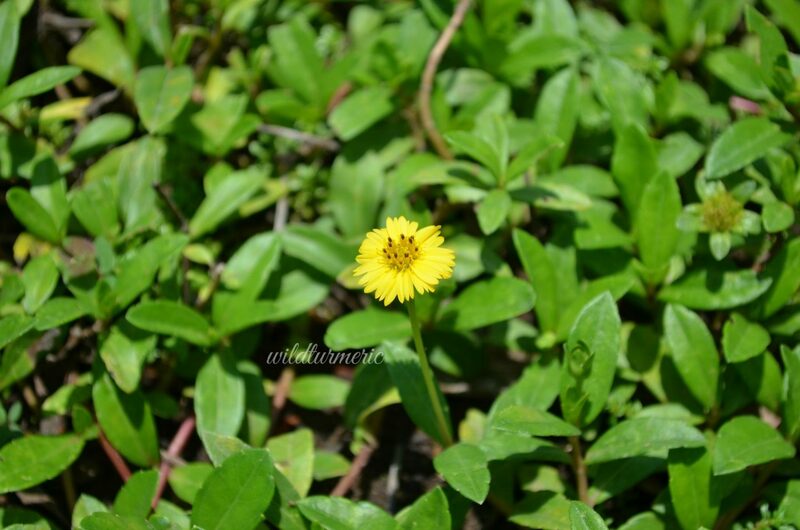 Bhringraj is an amazing herb that promotes hair growth and arrests hair fall immediately. You can read about bhringraj in detail here. 3. Take the indigo leaves, bhringraj leaves and amla in a mixer. Grind to a coarse paste without adding any water and keep it separately. 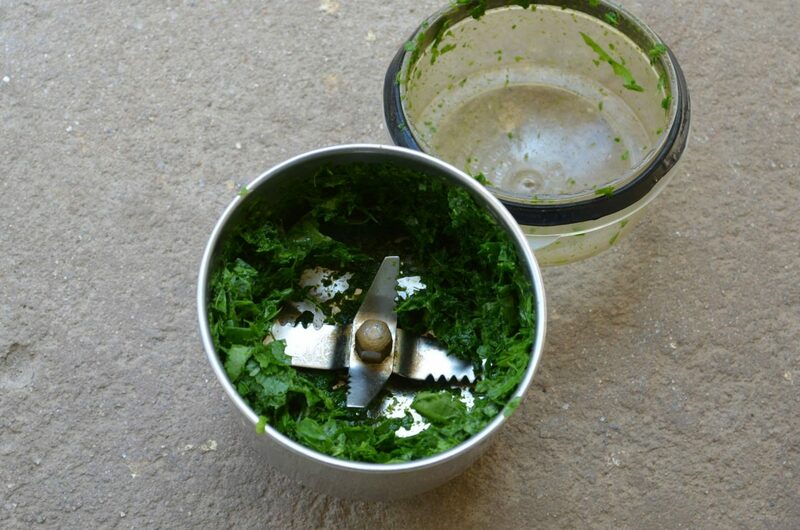 Grinding coarsely helps the herbs release their essence into the oil faster. 4. 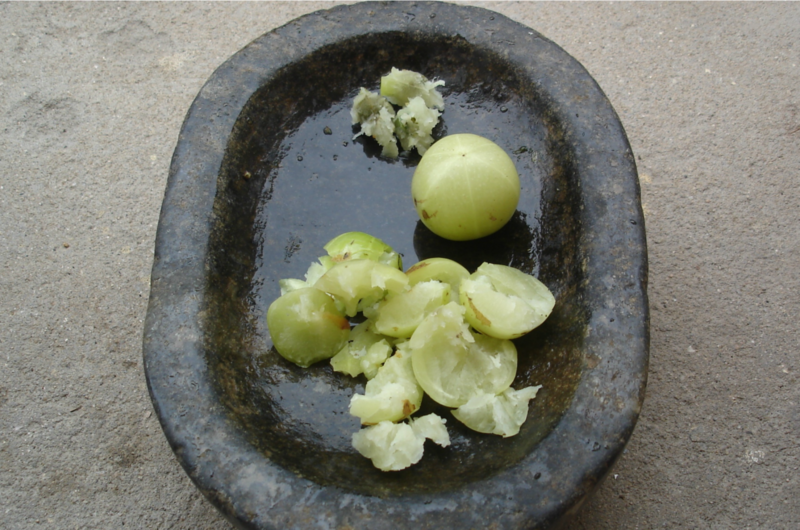 Take three fresh amla also called Indian gooseberries in a mortar and pestle and pound to break them and remove the inner seed from them. 5. 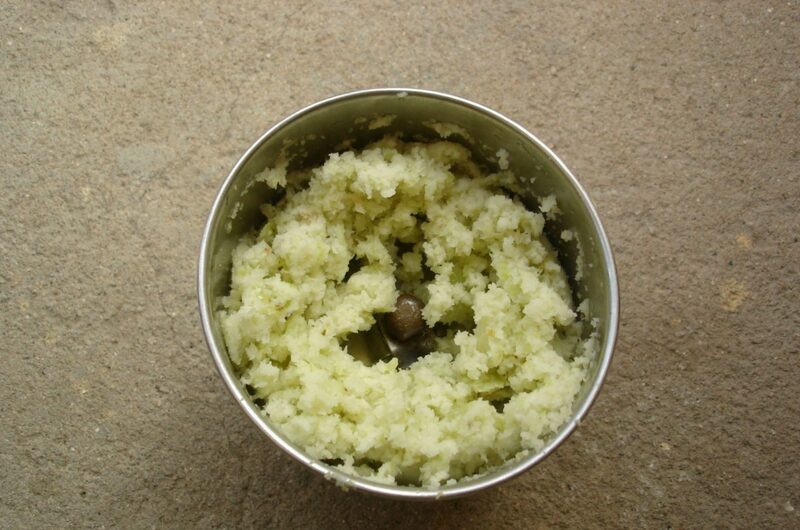 Take the pounded amla and grind to a coarse paste without adding any water in a mixer. 4. Now heat 1 cup of unrefined coconut oil and add the ground paste. Continue heating the oil till the sizzling sound stops which indicates that the water content has been fully evaporated. Once the water content has been evaporated, switch off and strain. If you switch off before the sizzling sound stops completely, the oil will turn rancid soon. You hair growth oil is ready to be used! Take 1/4 cup of henna powder in a bowl. Usually 40 to 50 grams of henna powder will be enough for close cropped hair, 70 to 80 grams will be enough for shoulder length hair and around 150 grams will be necessary for long thick hair. Make black tea without adding any sugar by boiling water with black tea, strain and let cool. 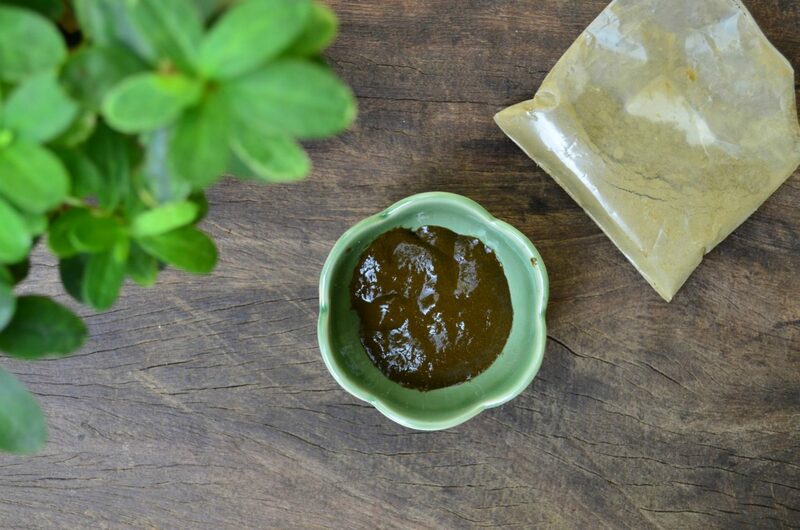 Now add the prepared black tea to henna powder and mix to form a smooth paste without any lumps. 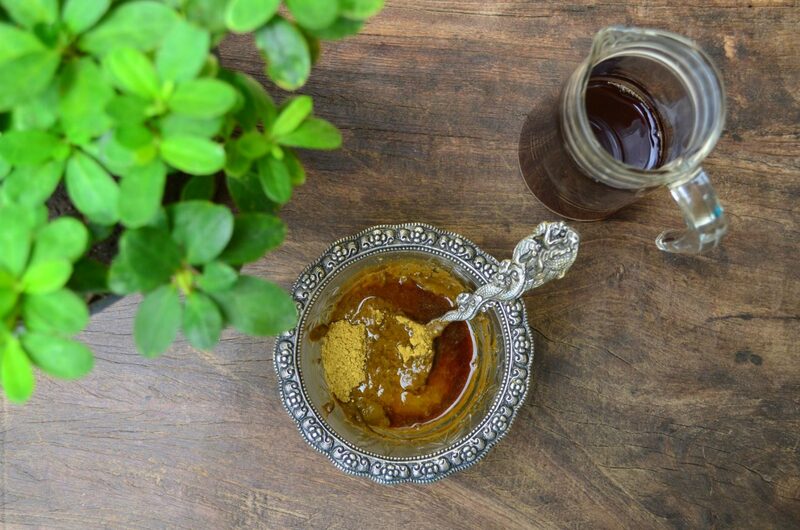 Once you are comfortable using henna, you can also experiment with adding ingredients like lemon juice, apple cider vinegar or coffee decoction. Each ingredient will give a different shade. 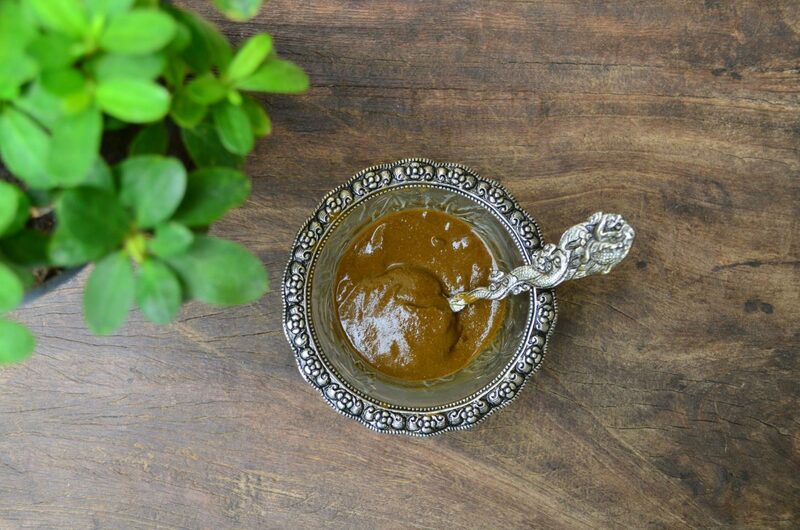 Also if you feel henna paste is drying out your hair, you can add a tsp of coconut oil to the mixture. Let henna mixture sit overnight covered with a plastic wrap. The next day, henna paste would have changed color, mix well. Apply little bit of coconut oil to your hair line to prevent skin from staining. Also make to sure to wear gloves if you don’t want any stains on your hands. Wear an old dress while applying henna to prevent stains and drape yourself with an old towel. Now partition your hair into small sections using a comb and secure them with a clip. Now working with one section at a time, apply the henna mixture liberally from the roots to the end either with a brush or with your gloved hands. After applying pin it back in place, work all the sections the same away. If the paste is too thick it will be hard to apply and if it is too thin, it will be dripping all over you so make sure to mix it right. Once you have applied the henna paste, take the left over henna and apply it all over your head, this will ensure that every part of the head is covered with henna. Cover your head with shower cap and let it sit for 4 to 5 hours. Some people might get a headache if they leave henna on their hair for long, for them I would suggest adding few drops of eucalyptus essential oil to the mixture. After 5 hours, wash your hair with plain water. Don’t use shampoo, it might take some time to remove all of the henna paste from your hair but rinse it off completely and dry your hair. If you are using indigo, you can apply it on damp hair itself. a. Take required amount of indigo powder in a non metallic cup as it is best not to use metallic containers while mixing dyes, I usually use glass containers. Usually 40 to 50 grams of henna powder will be enough for close cropped hair, 80 grams will be enough for shoulder length hair and around 150 grams will be necessary for long hair. b. Add in enough warm water to form a thick spreadable paste. You can use the indigo hair just after 15 to 30 minutes after mixing. After 15 to 30 minutes of soaking, indigo will start to release it’s dye, you can see it in the corners of the prepared paste. Apply on clean hair after using henna. Follow all the steps I have given for applying henna paste. Wait for 2 to 3 hours before washing it off in plain water. You can also add in a pinch of salt while mixing, salt helps indigo powder release the dye faster. After 3 hours, wash the indigo paste with just plain water. Don’t use shampoo, you can shampoo after 48 hours. Dry your hair and your hair will be dyed dark. Use fresh indigo leaves for making the oil. The oil stores well more than 4 to 5 months. When using indigo powder as a hair dye, try to mix it with warm water not hot water. The resting time can be in between 15 to 30 minutes. When buying indigo powder for the first time, make sure to check whether it is original and then use it as a hair dye. You can apply both henna and indigo on the same day. After applying henna and rinsing it off, apply indigo and then rinse it off after a few hours. Usually if you use both, it will take almost a day so I would suggest doing it on two days but please remember your hair will be red on the day you apply henna. So plan accordingly, choose a day when you won’t go out to apply henna. Don’t be scared seeing your red hair after henna application, it will turn dark when you apply indigo. Always make sure your hair is not greasy while applying these natural dyes and the soaking time on you hair is also important. Though you can add in ingredients like egg and coconut milk to henna mixture to condition the hair, all these ingredients inhibit dyeing process. I would suggest adding only 1/2 tsp of unrefined oil of your choice to the mixture. Is it possible to add indigo powder (say a tablespoon) to pre mixed 'ready to use' organic henna hair dye to increase depth of colour? Thank you. That's not what I asked. I was referring to PRE/MIXED READY TO USE BLACK HENNA HAIR DYE; I.E. Indigo powder is ALREADY INCLUDED. My question; CAN I ADD *EXTRA* INDIGO TO INTENSIFY SHADE? Hi Apurva, I will very soon. You can use reetha liquid instead of Castile soap but Castile soap lathers and cleans well. You can't find lye in any departmental stores in India. Some chemical shops sell sodium hydroxide and you can mix it in water to get lye but please be very careful as lye is just like acid…..
Hi Archana, the best place to find Indigo plant is in government run herb nurseries which are found near forests. You can also collect avuri plant if you visit any local village near Chennai…..
Hi, It is good to apply indigo and henna combo than applying store bought chemical based hair dyes. It will turn you hair dark. I would suggest you apply henna first and then apply indigo the next day. I would suggest using 1: 1 ratio and follow the process given above. You can change the ratio as per your liking. Don't expect perfect results the first time you apply, with subsequent use you will get the perfect blend that you like…. Hi RamyaHats off to you for all ur posts. Just wanted to ask does blood impurity change the color of the hair. Hi Srividhya, Hereditary, stress and nutritional deficiencies are the major reasons for premature greying of the hair…. Hello madam, we have grown indigo plant in our garden and after harvesting we have dried the leaves and ground them into powder. After mixing with water, the dye didn't bleek out after so many hours also. Is there any process before grinding the leaves to make it into a hair dye? HiiWould the remaining hair become white.. I am not able to understand your question, you mean after using the dye? Can you be more clear? I recently started using Khadi Black Henna (mixture of Henna and Indigo) , but after every time applying I have headache for two three days, Is there any solution to this problem ? You can add two to 3 drops of eucalyptus essential oil to the mixture before mixing, it will greatly help…. Should hair be covered with shower cap after applying indigo paste (only indigo powder) onto hair? Hi, Thx for the info. I awnt to know which brand of indigo powder shd i buy as there are so many in market. Please advice. Hi…. You have truly answered already to all my questions…. Thanks…. The problem I’ve faced is that, after every indigo application I’ve noticed that my face colour has changed .. Does indigo kind of seeps into the skin of the face? It solves the problem of my greys but what to do about the change of my face colour? Please advice. M in Delhi. Pls let me know the brand name to buy the original product from online. 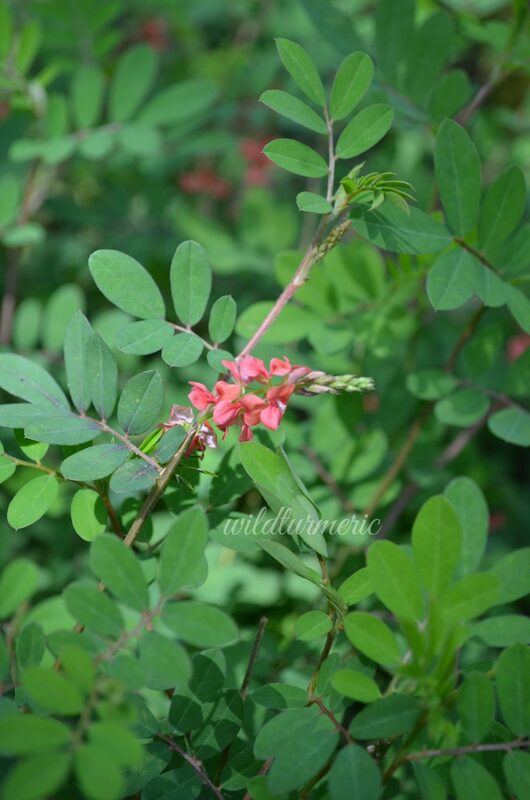 Hi Chethana, True indigo produces pink or violet flowers but in our place, we mostly find the pink indigo flower variety and both produce indigo dye. The wild indigo you are referring to is an ornamental plant and is called Baptisia or wild or false indigo. It does not produce indigo hair dye….